Hyderabad plays their tournament opener against Kolkata which is expected to be a mouthwatering clash. 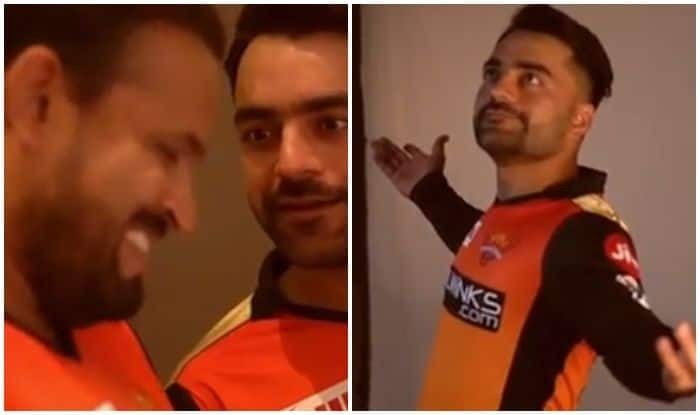 Rashid Khan is surely a Shah Rukh Khan fan! The Afghanistan spin sensation was recently seen break into an iconic ‘open-arm’ SRK pose during a fun session for Hyderabad ahead of their tournament opener against Kolkata. The entire Orange Army looked in high spirits as they made faces, danced, clicked pictures and played a prank or two. The runners-up are looking in a good state of mind ahead of the gruelling season that lies ahead. David Warner, who is making a comeback to the squad was creating a good bond with the new faces in the camp as he too had his fair share of fun in the video. Meanwhile, the match between Kolkata and Hyderabad will be played at the Eden Gardens and it is the first game on Day 2 of the Indian T20 League.